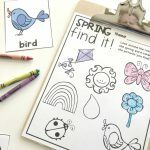 Butterfly Blends Activity - Free Springtime Printable! 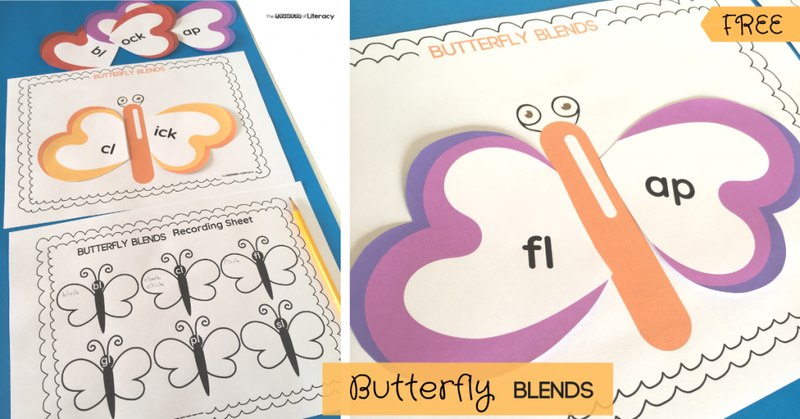 Learning about blends can be fun when it is butterfly blends! 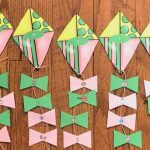 Use these butterfly blends activity in your literacy center for a fun Spring themed activity to practice blends! *Pair this with our Spring Centers & Activities! 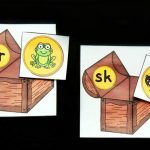 These butterfly blends are “L” blends – a consonant followed by the letter “l”. 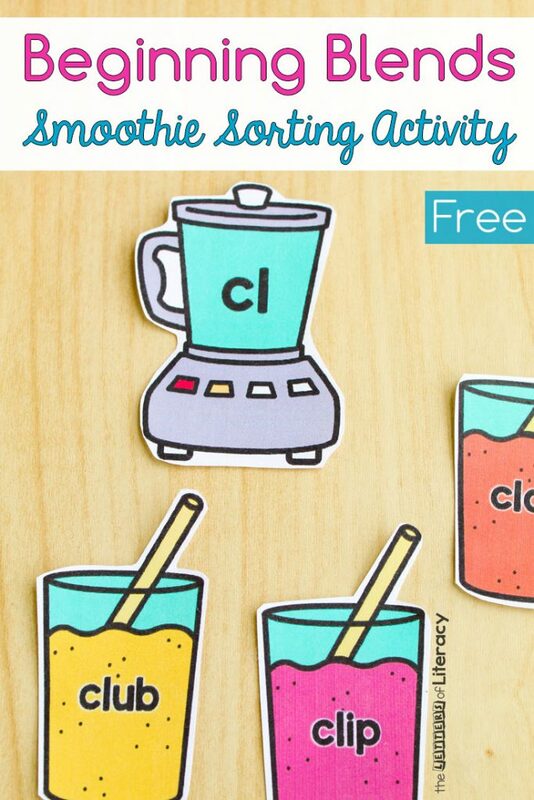 I’ve included the 6 most common ones namely “bl”, “cl”, “fl”, “gl”, “pl” and “sl” to this activity. 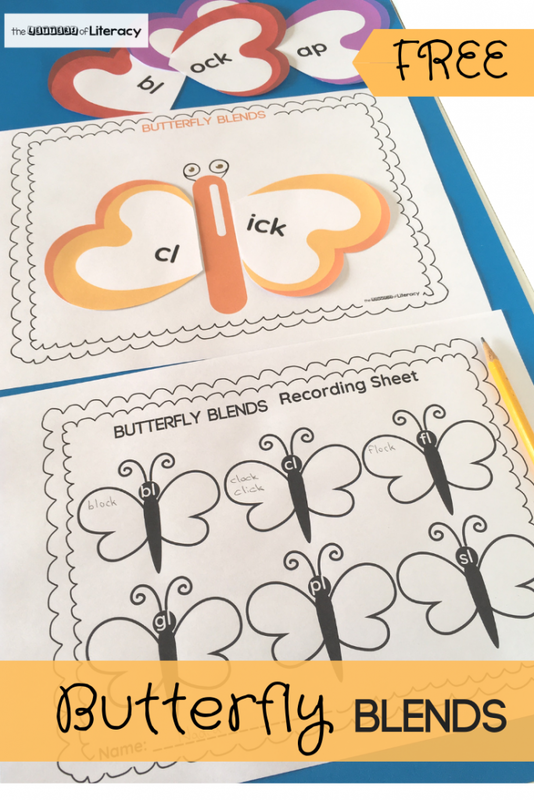 As part of this free printable butterfly blends set, you will find a sheet with the body of a butterfly, a recording sheet and then heart shaped wings with letters. Laminate all the sheets and cut the wings as shown in the first example. 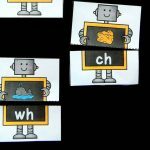 Grab a pencil or crayons for writing down the “l” blends on the recording sheet. 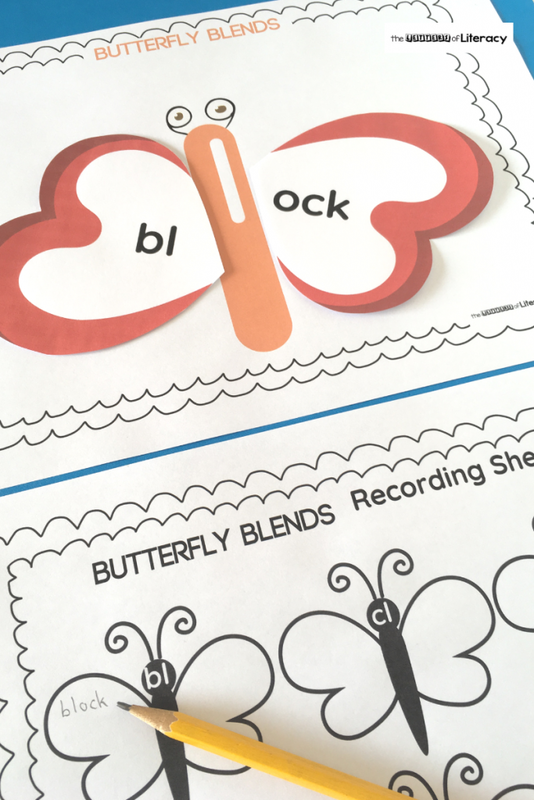 This butterfly blends activity can easily be an independent activity for your literacy center. 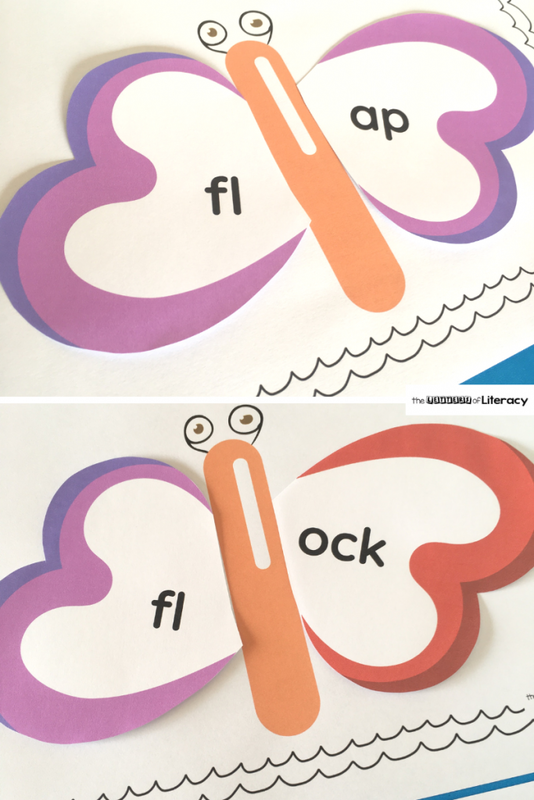 Students mix and match the wings and discover “l” blended words(by blending the blend and the last letters together, “bl” + “ock” = “block) and record it on their recording sheet. Recording sheets like these are serving as visual “maps” of certain words. 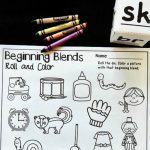 Students can add more blends to the sheet as they encounter it throughout the day/week. 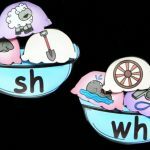 Mixing and matching of the wings is a fun way of working on phoneme manipulation (a skill needed for reading and writing) where one swaps out a sound in a word for another sound. The example above shows how “flap” became “flock” by only swapping out the last sounds. It could also be swapped out with the “cl” blend to form “clap”. 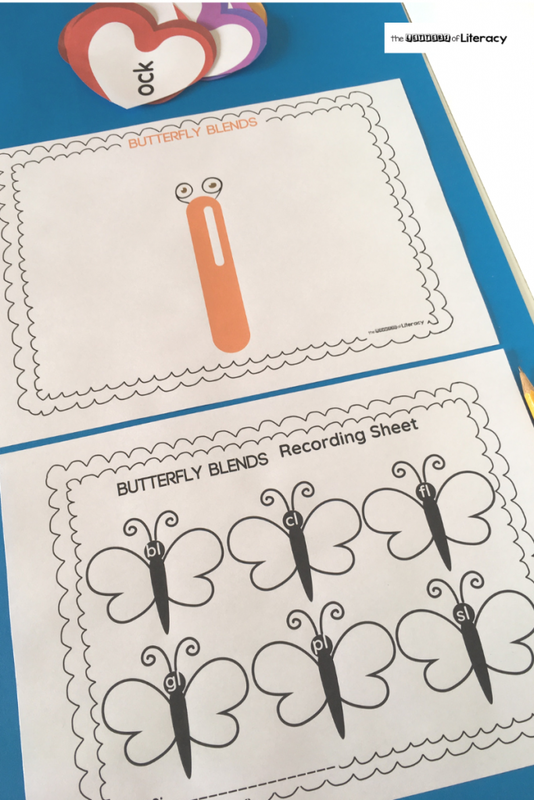 There are lots of possible options and students will discover these by physically swapping out sounds when manipulating the wings and writing down their findings on the recording sheet. 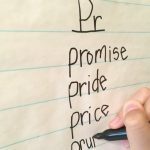 Are you ready to start practicing “l” blends with your students? 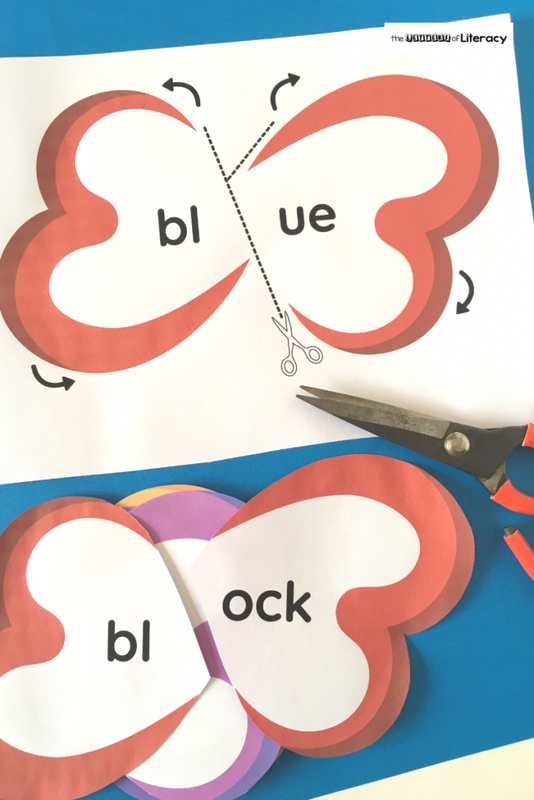 Then grab our FREE Butterfly Blends Activity below by clicking on the large, blue button! 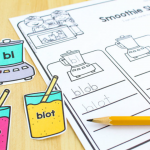 Then, hop on over to see our Beginning Blends Smoothie Sorting Activity!